My trip to Washington DC last week was extremely moving for many reasons (see my prior blog post). But one of the biggest reasons the trip was meaningful was the special piece seen in the photo above. I was in town for meetings with an Armenian women’s organization I currently chair, along with a few of my fellow officers. 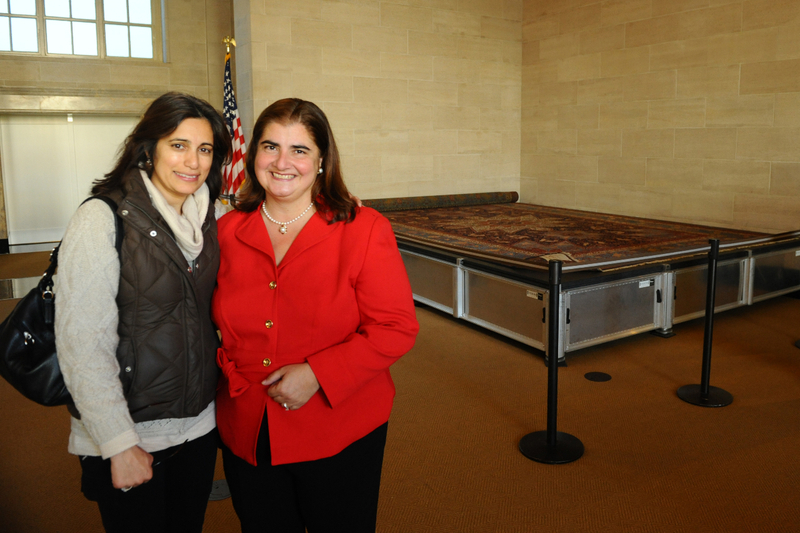 And we had the opportunity to see a treasure at the White House Visitors Center: The Armenian Orphan Rug, given to President Calvin Coolidge in 1925 by the Near East Relief Society as a gift of gratitude for the United States’ assistance in helping 100,000 Armenian orphans displaced by the 1915 Armenian Genocide, perpetrated by Ottoman Turkey (and still denied to this day). In an orphanage in Ghazir (formerly in Syria, now in Lebanon), right after the Armenian Genocide, 400 Armenian orphan girls made this rug, spending 18 months weaving four million knots into this 18-foot masterpiece, depicting scenes reminiscent of the Garden of Eden, as well as lions, unicorns, eagles and birds in a beautiful center medallion, surrounded by other intricate patterns. It was breathtaking to see, and heartbreaking at the same time. Imagine: these young girls, who had been ravaged by the genocide — families lost, faith persecuted, purity destroyed, homes pillaged — pouring their heart and soul into this rug. Creating beauty out of tragedy. Could their little minds and hearts possibly know that nearly 100 years later, their descendants halfway around the world would travel to see their handiwork immortalized? In the capital of the nation for whom they made the rug? I thought of my ancestors, the women and men, and all they sacrificed for their faith, and for us. I thought of my mother, born in Beirut, not far from Ghazir, and her family; and my father’s family, having to leave Turkey and Armenia; and all the stories my many relatives have told me about all they endured, about coming to America. Finally, I thought of these 400 Armenian orphan girls, whose souls are now in glory. Eight-hundred beautiful hands, weaving and weaving to erase their pain. 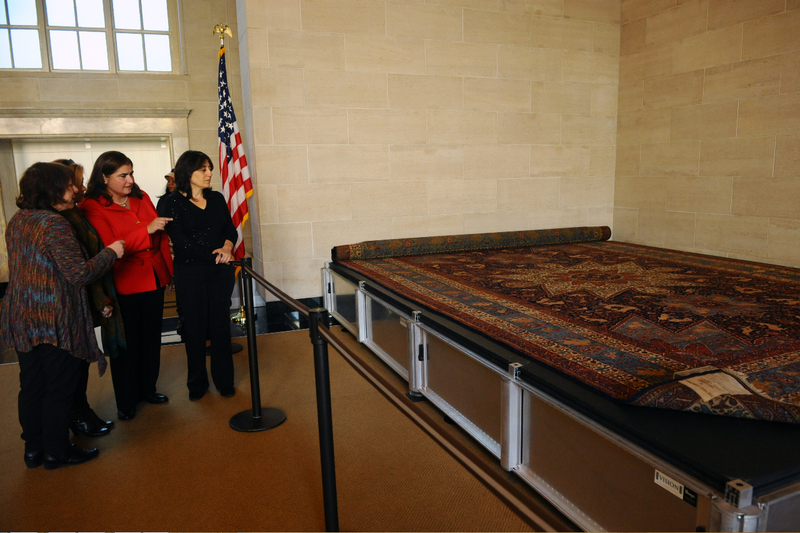 If you Google the Armenian Orphan Rug, you’ll read various versions of the story about how, after years of the rug being kept in storage at the White House, the Smithsonian in 2013 had requested that the White House loan them the rug for a display in honor of the coming 100th Anniversary of the Armenian Genocide. They were rebuffed at the last minute, for a silly excuse about rules of displaying US government property — when the true reason was the fear of repercussions from Turkey, a U.S. ally, who has spent billions of dollars over the decades making sure the Armenian Genocide does not get formal recognition by the United States and other major countries. 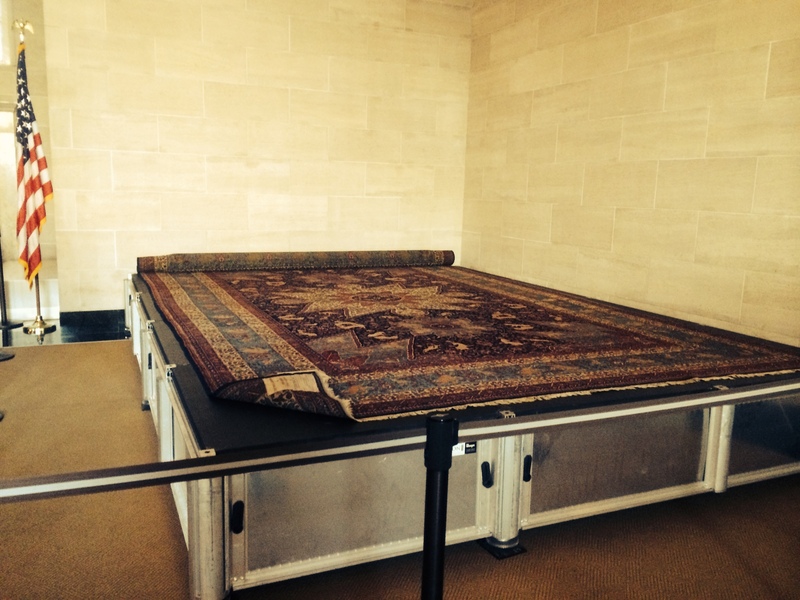 Moreover, though it was an honor to see the rug on display, the frustration was that it was displayed for only five days; it was tucked into a remote corner; and the signage made no mention of the Armenian Genocide, the very reason why these 400 orphan girls were orphaned in the first place. Again, the U.S. bowing to pressure from Turkey. 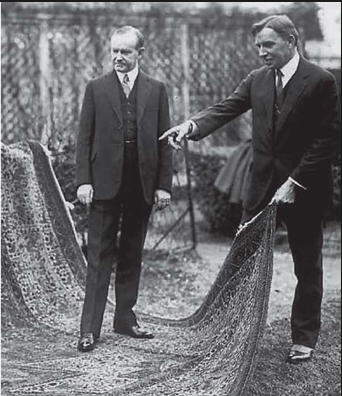 On another trip to New England two months ago, I had the honor of meeting Dr. Hagop Martin Deranian, who wrote the definitive book on the subject, President Calvin Coolidge and the Armenian Orphan Rug — the very book whose publication launch event at the Smithsonian was part of the reason the museum originally requested to display the rug. He gave me a copy of his book as a gift, which I will always treasure and share with friends who have yet to discover this rug’s amazing history. As challenging as it has been for him to bring the story of the rug to light, I applaud him and other leaders of our community who have worked so hard to stand up for the truth of our heritage, our people. It made me all the more humbled and grateful to be in a leadership role in our Armenian community at such an important time in our history. A Capital Experience, indeed. One I’ll never forget. This entry was posted in Uncategorized and tagged ancestors, Armenian, Armenian Genocide, capital, Faith, Genocide, Ghazir, girls, God, leadership, love, masterpiece, Orphan Rug, orphanage, orphans, persecution, President Calvin Coolidge, rug, sacrifice, Washington DC, weaving, White House, Women, Writing by Lisa Kirazian. Bookmark the permalink. Such a lovely tribute, Lisa…. We know the girls are smiling and proud….